Dr. 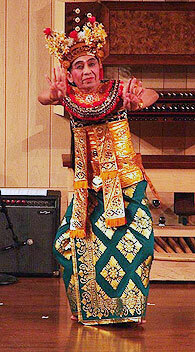 I. M. Bandem demonstrates the Balinese dance form. Even in the economic downturn, culture and the arts have been heralded as an economic engine, catalysts towards economic growth and prosperity. In this spirit, the Asian Cultural Center of Vermont (ACCVT) and, visiting from New York, the Indonesian Consulate General and the American Indonesian Chamber of Commerce (AICC) together present "Spotlight Indonesia" in Brattleboro. The mission of "Spotlight Indonesia" is to acquaint the public with Indonesia and its culture through a series of public programs and performances. This project aims to increase interest and engagement in Indonesia and its culture for individuals, businesses, companies, agencies, educators and educational institutions, and other organizations. More information is at www.tiny.cc/5E68St or by contacting Adam Silver at the ACCVT. Programs in March included a successful forum on business and culture at Marlboro College Graduate Center, catered by Tristan Toleno of Riverview Cafe. Throughout April, Spotlight Indonesia continues by featuring an ACCVT exhibition at the C. X. 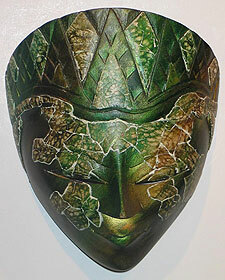 Silver Gallery, 814 Western Avenue in West Brattleboro: "The Art of Indonesia: Selections from the Consular Collection." 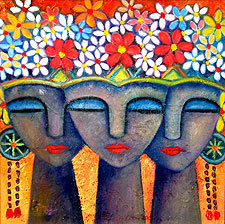 Painting, sculpture, puppetry, batik, and other textile art are included in a mix of contemporary and older pieces. The exhibit is open to the public free of charge, 9:00 a.m. to 9:00 p.m. daily by appointment; call (802) 257-7898, ext. 1, or (802) 579-9088. On Wednesday evening, April 29, from 5:30 to 8:00 p.m., the S.I.T. Graduate Institute/World Learning hosts a cultural forum/dinner discussion at the International Center on "The Emerging Roles of Indonesia in World Affairs." 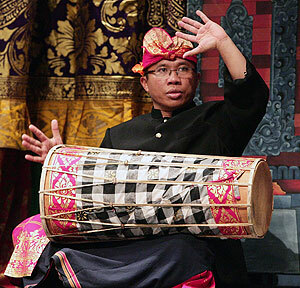 On Thursday, the 30th, after a day of arts workshops in local schools, the Latchis features "An Evening of Indonesian and Indonesian-Inspired Performances" beginning at 7:00 p.m. Key performers will be Dr. I. M. Bandem, authority on Balinese culture and its arts; Nyoman Sapatanyana, principal of Dharma Sarwa, the performance ensemble of the Consulate; Hugh Keelan and Derrik Jordan in a collaborative ensemble. Nyoman Sapatanyana leads the performance ensemble. The next morning, Friday, May 1, from 9:30 to 11:30 a.m., a closing reception for the exhibition at 814 Western Avenue is another opportunity to meet with the Indonesian delegation.